Aloha gang. 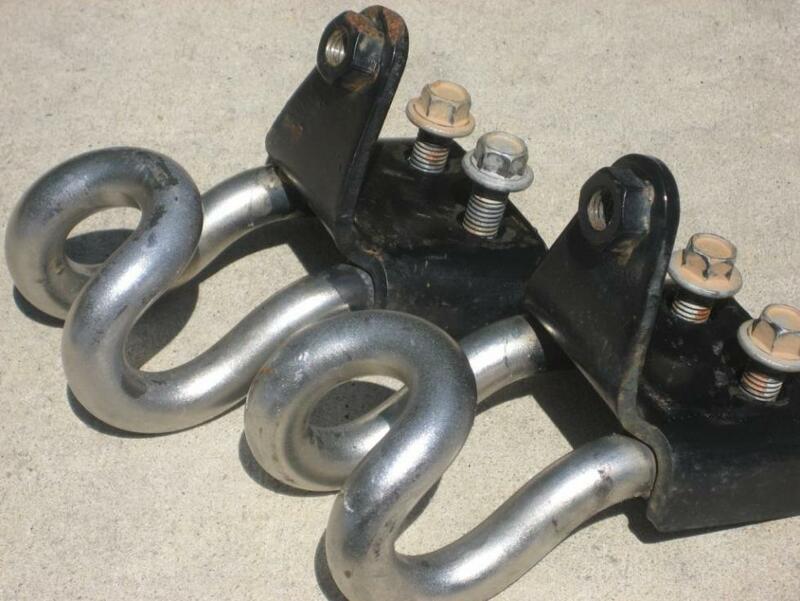 Looking for some level II knuckle style tow hooks. Anyone know where I can find some? There are sets all over Ebay and Car-Part.com. You just have to do a bunch of homework to find them. It's like an internet game of hide and go seek. Just a tip. If you're on Ebay, do a search under Parts & Accessories for "Ford Ranger Door" or "Ford Ranger Console". Many times junkyards will post ads for these parts, and in the listing they will include pictures of the rest of the truck. If you look at the pictures, sometimes you will find a Level II truck. That's when the homework starts. Call or Message the junkyard and ask if they still have the truck. If they do, ask them if it still has the tow hooks, and how much they want. That's how I've found and purchased the five or six sets that I've bought and re-sold. Of course, there are plenty of times where the trucks are long gone. So it can be a bit discouraging for sure. Thank you for the tip sir..I will check it out...please let me know if you come across any. Thanks again.